The keynote begun pretty well with the announcement of iPhone OS 3.1, which really is just a small update to the current iPhone OS. Not much new features here to talk about: Genius for the App Store and the new ringtones that are available from the iTunes Store, which definitely doesn’t come at a cheap price (US$1.29 for 1 ringtone), were the features that earned a place of honor in Steve’s Keynote. Well, about Genius for App Store – I am little skeptical about how well this would work, after all, you would usually only require one app that have all the features you need (eg. a To do list), so I don’t see how recommending similar apps will really help here (recommend more todo list apps? For what? ), though of course I see it’s potential for games. And the Ringtones definitely does not interest me – first off the price is too steep in my opinion and secondly, I am still waiting for the day the iTunes Music Store comes to Singapore. However, besides these features, there are a few other small improvements, which are documented by TUAW here. Of course, bug fixes are in place, and the 3.1 update includes the patch to the SMS vulnerability hack exposed a while back, though I am surprised that they did not do anything about the weak WiFi signal problems that many users seemed to be having and the wonky Auto WiFi system. Well iTunes 9 does seem to gain quite a bit of functionality – Home Sharing (based on your iTunes account), Genius Mixes, more syncing options and App Management in iTunes itself. Well, Home Sharing sounded pretty cool at first (and I thought it would employ Bonjour technology), but once you realized it is in fact linked to your iTunes account, you realized that Apple’s Digital Media Usage policy has not changed a single bit. Well, at least it does make it easier for me to “sync” my music library when I get a few more Macs the next time. Genius Mixes (shown in the screenshot above) allows you to use Genius without a seed song – sort of like your personal DJ. I am testing it out now and it does seem pretty good. More syncing options allows you have greater control over what content from your excessively huge media library (mine is about 70GB – I like high quality songs – and growing) you want to sync over to your iPod/iPhone with such puny storage space. And for Mac and iPhoto users, you are in luck, you can select based on Events and FACES (perfect for you to keep pictures of your boyfriend/girlfriend or yourself to drool over – I kid, I kid.) Ah, and App Management from iTunes itself – finally – though it doesn’t seem to be that essential since 3.0. 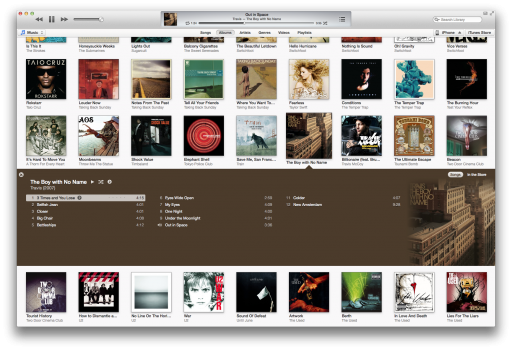 Of course, iTunes 9 features a few interface changes – Apple seems to have gone for a lighter design (white backgrounds for grid views, Applications now) over the previous darker one. 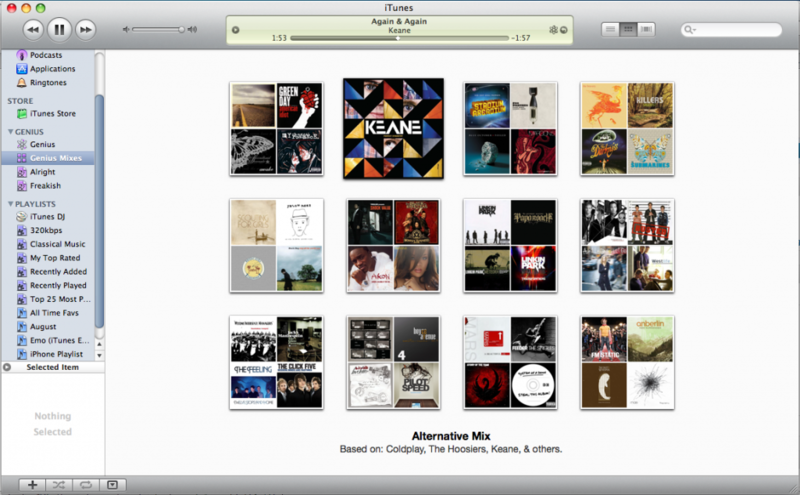 Pretty good job with iTunes 9. Oh I almost forgot – iTunes LP and Extras. But then, no surprise that I forgot about that. No iTunes Music Store in Singapore remember? Of course, the iPod Classic earned nothing more than a passing mention. More storage (160GB instead of the 120GB) for a lower price. I am a big fan of the Classic model since it is the only model that allows me to carry my entire media library with me but I am not at all surprised with the lack of attention and love that Apple gave it – the iPod Nanos and Touches are clearly more popular. Well, even the iPod Shuffle seemed to get more love from Apple. New colors are now available for them (as well as a price drop), with a special edition Stainless Steel Model which does look pretty cool. But hey, it’s a Shuffle, the iPod for cheapos, so what’s the point of having a special model? Speaking of which, my mum’s 1st Generation iPod Shuffle is still working – those things are pretty long lasting huh? 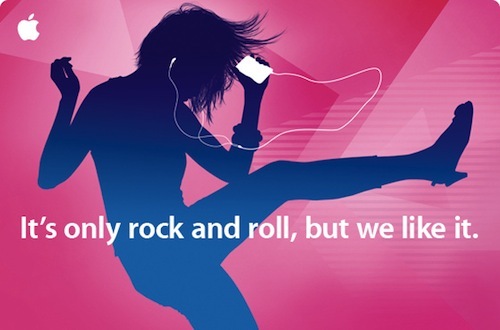 And the greatest disappointment of all – the new iPod Nano. With a camera as rumored. Yes, that’s pretty cool, but once you realize that the camera only takes VGA quality video (that will probably only look decent on your iPod Nano’s screen and not any other screen larger than that) and not stills (as explained by Steve Jobs here), there is really nothing to be wowed by. Yes, it’s a pretty cool concept – but those with iPod Nanos are very likely to have phones with cameras that can take videos AND stills as well as (or even better) than the camera on the iPod Nano and so it’s really pretty much self-defeating. But the features that are truly worthy of mention for the iPod Nano is actually the new FM Radio that is built in and the Pedometer (which would really be great for runners). And of course, the larger screen (together with a lightly longer battery life for watching videos) is a nice touch. Yes, there are a few pretty cool new tricks, but nothing truly revolutionary (especially disappointed with the new iPod Touch). Maybe it’s because Steve Jobs was away for a while, but now that he’s back, I hope Apple’s innovation comes back to them.